SABnzbd is a free open-source and web-based Usetnet client for downloading binary content (image, audio, video, e-book, etc.) on Usetnet. 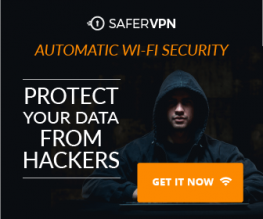 It’s cross-platform, available for Linux, BSD, MacOS, UNIX, Windows, Synology, QNAP and so on. 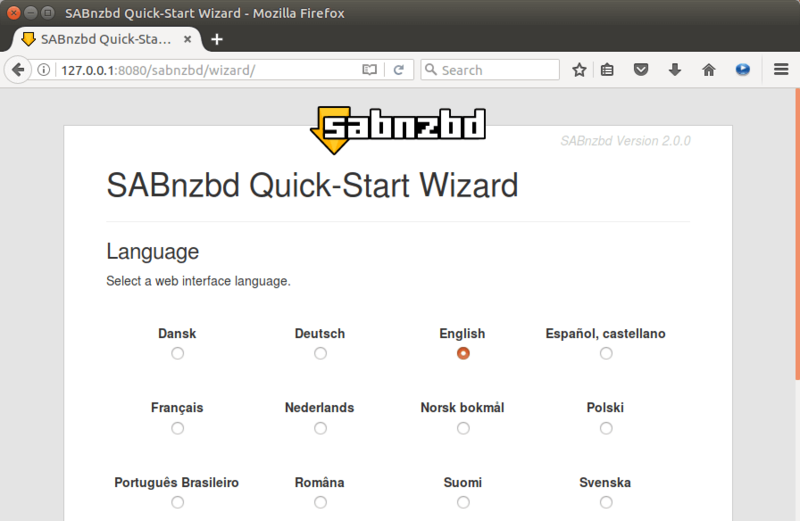 This tutorial is going to show you how to install SABnzbd on Ubuntu 16.04 and Ubuntu 17.04. You can access it from anywhere with a web browser. Multiple Usetnet servers (providers) are supported. SABnzbd is available from the default Ubuntu repository. So you can open up a terminal and install it with apt. SABnzbd is being actively developed. 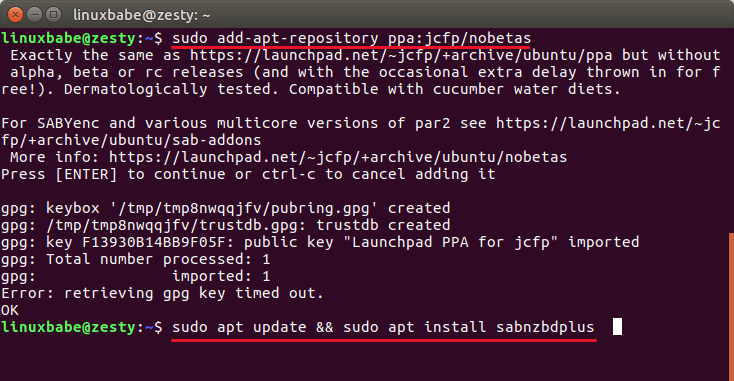 If you want to install the latest stable version (2.0.0 at the time of this writting), then run the following commands in a terminal window to add an unofficial SABnzbd PPA, then update package index and install it. Once installed, start SABnzbd from Unity Dash or your preferred app launcher. You can also start SABnzbd from command line. -d (--daemon) option makes it run in the background. If SABnzbd is installed on a headless Ubuntu server, then you can add --browser 0 option to disable automatically launching browser. By default, SABnzbd listens on port 8080. If another process is using port 8080, then you can use the -s (--server) option to specify a different port for SABnzbd like so. The quick start wizard will be opened in your web browser. 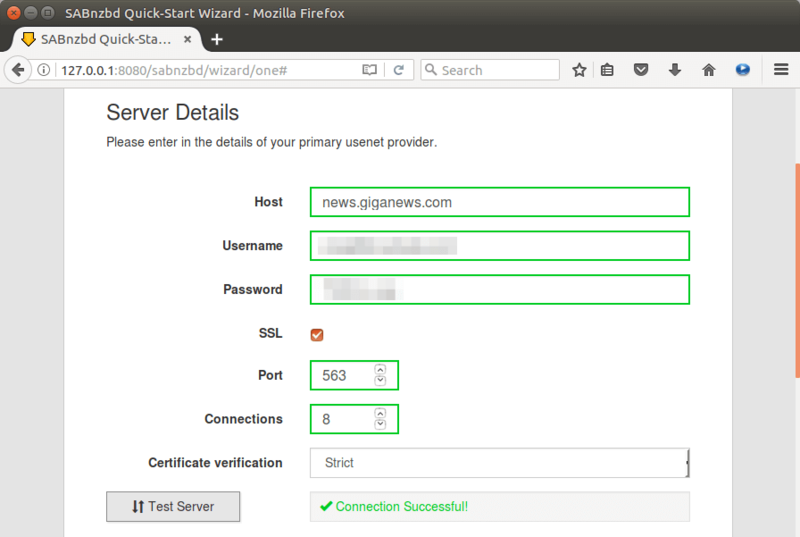 You can also enter localhost:8080/sabnzbd/wizard in any web browser to see the quick start wizard. Select a language. In the next screen, enter the server details of your Usenet provider. I use Giganews, which offers 14 days free trial. These server details can be obtained from your Usenet provider. If your Usenet supports SSL, make sure to check SSL. In order to download content (image, audio, video, e-book, etc.) from Usenet, you need to feed a NZB file to SABnzbd. NZB file, which is similar to .torrent file, can be download from Usenet index sites like nzb.is. Most of these sites are based on a freemium model. You have the option to build your own free Usenet indexer, but now for a Usetnet beginner it’s a good idea to register free accounts with these Usenet index sites to see what’s available to you. To enable auto start, we can create a systemd service for SABnzbd. Save and close the file. Then reload systemd. Note that it’s recommended not to run sabnzbd as root, so we’ve specified in the service file that sabnzbd should run as the sabnzbd user and group, which have no root privileges. Create the sabnzbd system user and group. Add the sabnzbd user to the sabnzbd group. Next, Stop the current sabnzbd process. Use the systemd service to start sabnzbd. Enable auto start at boot time. Then create a new server block file in /etc/nginx/conf.d/ directory. Paste the following text into the file. Replace sabnzbd.your-domain.com with your preferred domain name and don’t forget to create A record for it. If you use Apache web server rather than Nginx, then follow the instructions below to set up reverse proxy. To use Apache as a reverse proxy, we need to enable the proxy modules and we will also enable the rewritemodule. Then create a virtual host file for SABnzbd. Put the following texts into the file. Replace sabnzbd.your-domain.com with your actual domain name and don’t forget to set an A record for it. Now you can remotely access SABnzbd by entering the domain name (sabnzbd.your-domain.com ) in browser address bar. If SABnzbd is accessible from public Internet, then it’s very important to set a username and password, which can be done in settings > General > Security section. That’s it! I hope this tutorial helped you install SABnzbd on Ubuntu 16.04/17.04.